Connecting Apple AirPods to a MacBook, PC or another Bluetooth device isn't quite as straightforward as pairing them to an iPhone or iPad. While the smart earbuds hit it off instantly with an iOS deice when taken out of the charging case, there are a couple more hurdles to jump over when pairing to a the likes of a Mac. Thankfully for you, we're here to help. 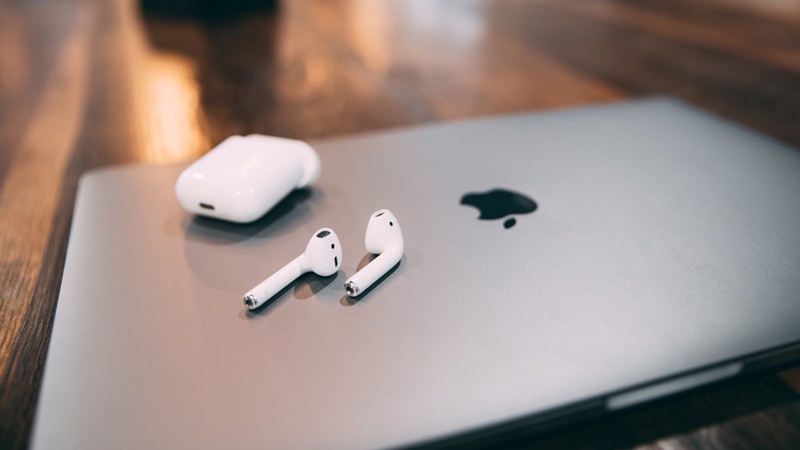 Below, we'll be guiding you through every step on how to connect AirPods to your army of devices. Whether you've got a MacBook Pro, MacBook Air or just a regular Mac, the process for connecting AirPods is the same. And if you've already set up the earbuds with your iPhone and your Mac device is signed in to iCloud with the same Apple ID, they might already be ready to pair. To check, click the Apple logo > System Preferences >Bluetooth and hit 'Connect' if you see a device named AirPods. Hit the Apple logo in the top left corner, go to System Preferences and click through to the Bluetooth section. Ensure that Bluetooth on your Mac is turned on. Make sure the AirPods are in their charging case and open the lid. Hold the setup button on the back of the case until the light begins to flash white. You should then see the AirPods in the Devices list of the Bluetooth menu. Open the Settings app and choose Devices from the menu. Go to the Bluetooth & Other Devices page and choose 'Add Bluetooth or other device'. On the next window, hit Bluetooth. You should then see the AirPods in the 'Add a device' list of the Bluetooth menu – click to pair. You won't have to repeat this step every single time you want to pair your AirPods to your PC. However, you will have to manually go the list of Bluetooth devices associated with the computer and click to connect. Also, be aware that you won't be able to use Siri when paired. You might not know it, but the AirPods can connect to your non-Apple smartphone or tablet. So, for those of you running on Android, you can harness the earbuds' Bluetooth capabilities and cheat on Apple. Like with connecting to a PC, you won't be able to speak to Siri, but that's probably not where your priorities sit. Go to the settings or connections section of your device and ensure Bluetooth is turned on. With the AirPods sitting in the charging case, open the lid. From there, press and hold the setup button on the back until you see the light begin to flash white. When the AirPods appear in the list of Bluetooth devices, select them. Again, as when connecting to a PC, you won't have to repeat this step every time you want to pair your AirPods to an Android phone or tablet. However, you will have to manually go to the list of Bluetooth devices associated with the device and click Connect.